Leash Law: In the City of Chandler, dogs outside of the residence must be in a suitable enclosure or confined on a leash, no longer than six feet in length. 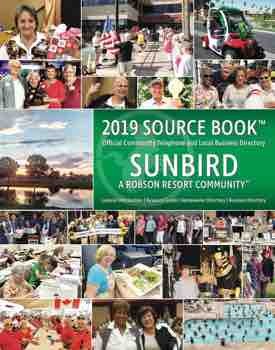 Pets observed in SunBird off the leash or running loose on HOA common areas could result in the owner being fined by the HOA. Leash Laws are enforced by the Maricopa County Animal Control Office. Some important rules to always remember and follow year-round at the clubhouse pool and the adult pool to enhance pool enjoyment, health and safety: Never any glass containers in the pool area. The pools are shallow, so no diving is permitted. No eating or drinking while in the swimming pools and Jacuzzi. Children must be potty trained and out of diapers before they can enter the pool. No swim diapers are permitted. No one under the age of 14 may use the Jacuzzi. The adult pool located on Oakmont Drive is for adult use only at all times. Good news – children pool hours are also from 11:00 a.m. until noon for the summer. Be safe this summer, especially while out walking during the hottest part of the day. If out walking, don’t forget that important container of cold water and maybe carry an umbrella to provide you some shade from that very hot desert sun. Call the Patrol at 480-797-8605 if you are in any kind of distress. If you see us, flag us down. We can get you back home or to the clubhouse if needed. Have a safe and enjoyable summer!